Sticky Notes is a pre-installed application which is bundled with several inbuilt applications that comes with the Windows operating system. Sticky Notes is not only available in Windows 10 OS but is available in every Windows operating system. If you are in a rush and want to save something on your desktop, then it is the best option for you. Suppose, you are on the call and you have your Windows 10 PC/laptop in front of you then at that moment you can save the details which you are getting over the phone on Sticky Notes. Also, if your Windows 10 doesn’t have a calculator, then you can quickly fix Windows 10 Calculator missing problem using this fabulous article. In this section, you will be learning how you can get and how you can use Windows 10 Sticky Notes. I have divided this second into two parts. First of all, I will explain how you can get the Sticky Notes on your Windows 10 Pc/laptop. In the second part, I will explain how you have to use the Sticky Notes app properly. Also, you don’t have to take anything extra with you to start using the Windows 10 Sticky Notes. Just go through the passage and start using it. You don’t have to get the Sticky Notes application from the internet. Why? Because it is a pre-installed system application which comes along with the Windows 10 operating system. So, the point is that how you can open it or appear it in front of yourself? 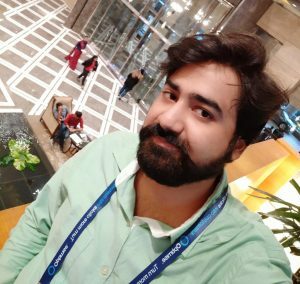 What you have to do is that you can either use Cortana or the search bar of your Windows 10 PC/laptop. Just say Cortana to open Sticky Notes for you. Else, you can type the keyword “Sticky Notes” in the search box. You will get the Sticky Notes application at the very top of the results. Open it and move on to the next part to learn how you can use Windows 10 Sticky Notes. Using the Windows 10 Sticky Notes is the very easiest thing ever. Once you have opened the Sticky Notes on Windows 10, then you are ready to start using it. There is a “+ (plus) icon” at the top left side which means you can add more sticky notes if you want. Also, there is a trash icon at the top right side which allows you to delete any sticky note if you want. There are three horizontal dots that is called the menu. This will allows you to change the color of your Sticky Notes. The available colors are Yellow, Green, Blue, Purple, Pink and White. Just type your text in the Sticky Notes app, and it will get saved automatically and immediately. That’s it; this is how you have to use the Windows 10 Sticky Notes. If somehow your Windows 10 PC/laptop doesn’t have the Sticky Notes application in it then don’t worry you can easily download Sticky Noyes for Windows 10. The Sticky Notes app is available on the Microsoft Store so that a user can download it whenever he or she needs to use it. Also, it is totally free of cost to download the Sticky Notes application from the Microsoft Store. You just need to have the Microsoft Account in order to download the Sticky Notes in Windows 10. This was all about how you have to get and use the Windows 10 Sticky Notes application. If you don’t have it then you can read the last passage of the article. I hope this article has helped you a lot in learning the utilization of Windows 10 Sticky Notes. I have also posted some interesting article such as how to find MAC address on Windows, make sure you check them out. 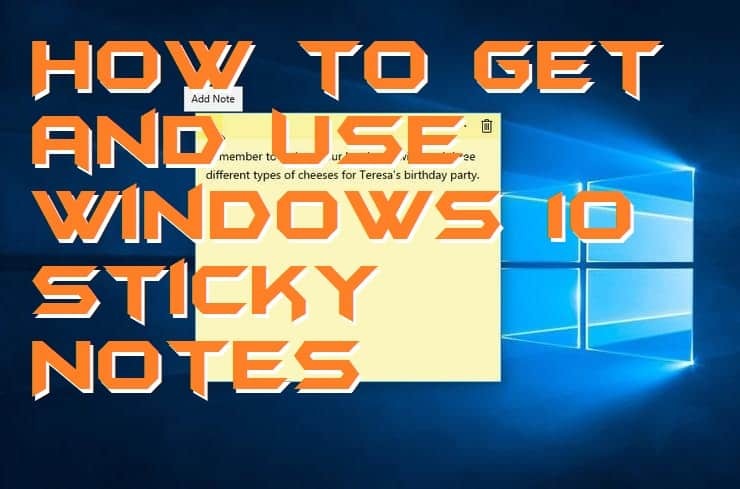 You can share this article with your friends or relatives so that they can also learn how to use Windows 10 Sticky Notes.